The UXV 700i LE model is equipped with a 2500 lb. 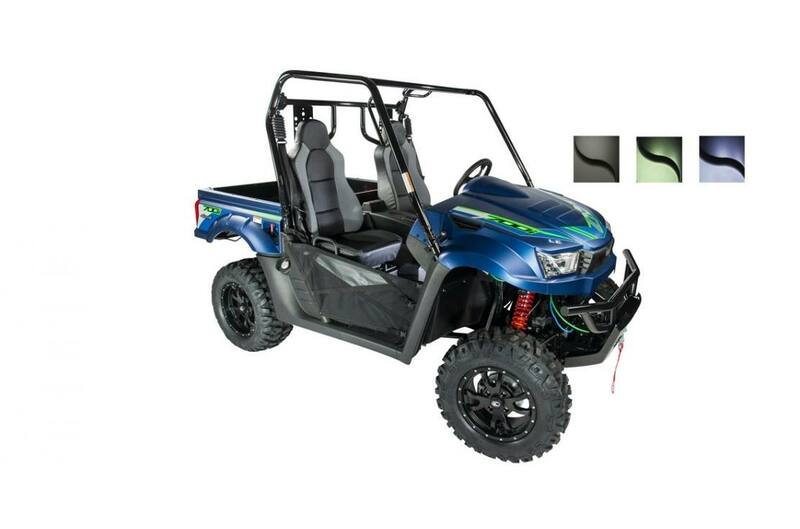 WARN winch and electronic power steering for easy maneuvering through tight trails. 14" black aluminum sport alloy wheels with 26" tires, new paint and graphics give this model a sleek, sporty appearance. Hydraulic Assist Tilting 440 lb.